Hi and Welcome to our MCR BMW Z3's. This mod started to develop a few weeks ago after I made some physics for a mod and then got carried away and made a model for it. Hmmm sounds like the wrong way round doesn't it? Well I guess you could say its not ment to actually represent a Z3 physics wise. But what it does represent is great rear wheel drive fun physics. Hopefully you can see in the video that this mod is a low powered drifter. Not Japanese drift style I may add. Just good fun door to door action at speeds of around 120 mph and easy to control physics. This mod suits the tight twisty tracks and ive had alot of fun even with kart tracks using this mod. Oh and our old favourite AI drivers name are back from the historic REVS. Should be out very soon. Just finalizing a few details! Happy Xmas everyone and thank yous to everyone thats made 2008 a worthwhile year. 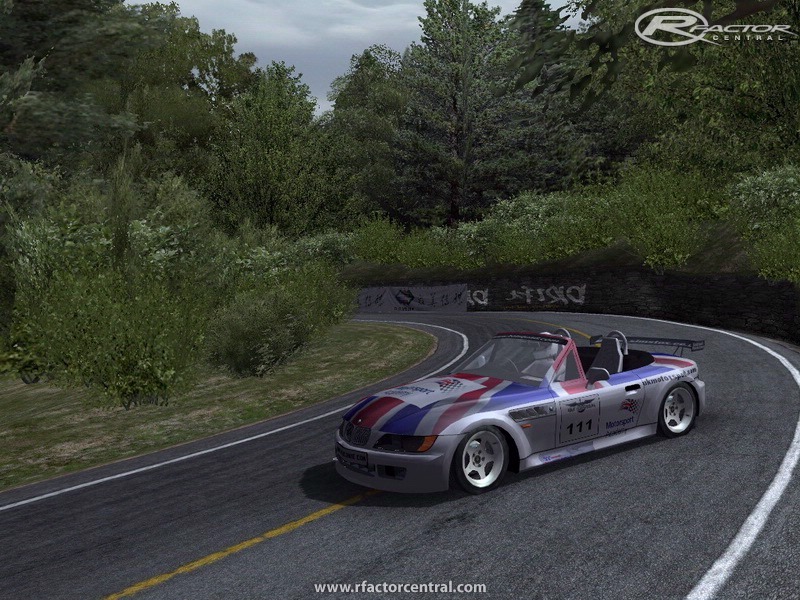 There are currently no setups for MCR BMW Z3. Add a Setup. Thank you very much,from screenshots look nice cool mod,and file size only 19Mo!this is Great and perfect work,realy thank you.and thank's for all members here. porfavor acer un smart roadster coupee es mi vehiculo y me encantaria poder jugar con el gracias saludos!!! thats certainly not thermalito. dont know what it is but not that. Some nice screenshots posted there. Thank you. Good to see that someone is still playing it. Believe me guys if I could fix this bloody thing so it would work with RFC Championships I would as I believe this was gonna be a belter for side by side racing! Well I think the tracks which selected for the defunct RFC Championship the AI were pretty good at and also Silverstone Short versions. Anyone know a good track where the AI can slide these cars around good without losing control and spinning?